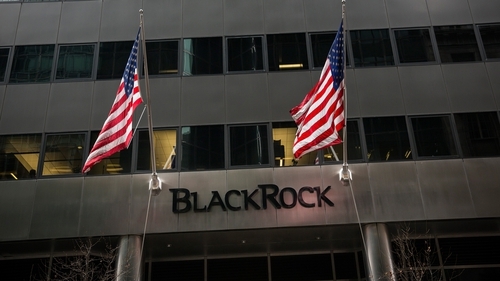 BlackRock and Goldman Sachs Asset Management both plan to temporarily move some British-based fund managers to New York in the event of a no-deal Brexit, two sources told Reuters. The portfolio managers would eventually be transferred to mainland Europe to handle client accounts there once Britain and the European Union agreed a regulatory framework, they added. But neither of the firms, who together employ more than 10,000 people in London, expects a chaotic exit that would force them to carry out the emergency relocation, the sources said. A spokeswoman for BlackRock, which is the world's biggest asset manager and manages around $6.3 trillion, declined to comment on the plan. But in an emailed response to Reuters it said: "BlackRock maintains extensive regulatory licenses and permissions across Europe and globally to ensure it can continue to serve its clients post-Brexit." To avert such moves, the European Securities and Markets Authority (ESMA) is in talks with Britain's Financial Conduct Authority (FCA) on agreements which would oversee cross-border asset activity and managers. The US makes sense as a temporary base for Goldman and BlackRock as Europe has co-operation agreements with US regulators, so managers could handle European clients' accounts from there until ESMA and the FCA have theirs. An ESMA spokesman said it expects to have agreements in place before the end of March. If not, BlackRock will move around 10 equity portfolio managers to New York, one source said, adding they would later move to the euro zone. Goldman's asset management business GSAM, with 50 managers in London, has plans to send "a handful" to the US financial capital until a framework is in place, the second source said, adding they too would eventually relocate to the euro zone. GSAM has picked Dublin as a centre for administrative staff when it no longer has access to the single market from London following Brexit. "We continue to monitor the situation and are prepared to serve clients whatever the outcome," a GSAM spokesman said. It is not known whether other big US asset managers are drawing up similar plans and State Street, Fidelity Investments and Northern Trust all declined to comment. Although concerns about a chaotic no-deal exit have eased since the defeat of Prime Minister Theresa May's draft plan in Parliament on Tuesday, the contingency plans highlight efforts by money managers to avoid major disruption before the March 29 deadline for Britain to leave the EU. For BlackRock, the strategy expands on plans announced in October in which it said "only very few" roles would be moved from London as a result of Brexit. Although London-based asset managers already operate funds listed in Luxembourg and Dublin, holding more than €1 trillion of assets for customers across the bloc, they would not be able to continue operating as they do now post-Brexit. "Until such time as the UK has that agreement in place with each of the EU 27 member states or with ESMA on behalf of all of them, UK managers would find it difficult to conduct marketing of their funds in such countries," Robson said. Adam Jacobs-Dean, managing director, global head of markets regulation at the Alternative Investment Management Association (AIMA) in London, said most of its member firms are working on the assumption that new agreements will be in place in time.